The Kia Ora advert is one of the more memorable old ads from the eighties. The one part of this ad that always sticks in my memory is when the crow says "I'll be your dog!". 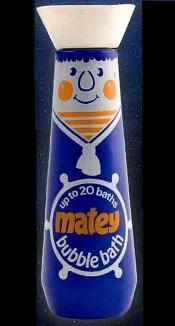 Who remembers having a bath with Matey when they were young! Great memories here in this space-themed advert from the eighties. When I was a kid in the 70s I was crazy about bubbles, and I used to really work up a lather when the taps were running so that I could hide underneath the bubbles - happy days! 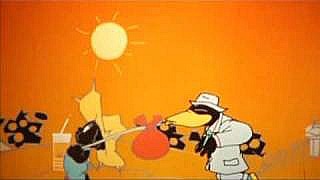 Remember this fun TV advert from yesteryear? 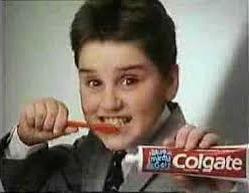 It featured kids advertising Colgate 'Blue Minty Gel' to the tune of Madness 'Baggy Trousers'. I particularly like the lyrics to this one. 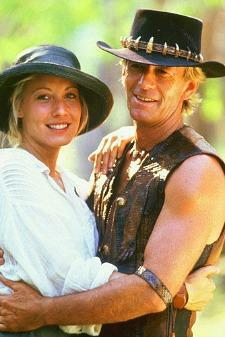 There were many UK ads featuring the famous Aussie actor, Paul Hogan and they always made me laugh! Watch this one and it'll have you hooked - sorry about the bad pun, but I just had to get that one in! The fifth video clip in the list features four old adverts including the Atari 2600 games console which cost £129.95 and three classic cartridge games Asteroids, Missile Command and Space Invaders which were £18.95 each. Then, in complete contrast, there is an ad for Cheddar cheese, a Peugeot Talbot car (remember them?) and Castlemaine XXXX lager. Is Juicy Fruit still available? 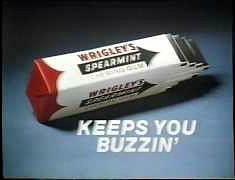 It's years since I last had a piece of chewing gum, so I've no idea. But I remember this ad like it was yesterday! Sadly, I couldn't find any old pictures of Juicy Fruit, but here's a pic of a Spearmint chewing gum ad from 1982 instead. This ad features a range of products which you may remember from the eighties including a Matsui personal stereo, Phillips Mains Shaver, Braun food processor and a Sinclair Spectrum 128 +2 with joystick and software.